In an e-mail to its employees followed up with a press release, Google (NASDAQ:GOOG) has just announced that it has agreed to acquire Nest, a maker of connected devices, for $3.2 billion in cash — which is almost double from what Google paid to acquire Youtube. The mission of Nest is to reinvent unglamorous but necessary devices for the home such as smoke alarms and thermostats. The Nest Learning Thermostat has been a best seller since it was launched in 2011 and the Protect (Smoke + CO Alarm) has recently been launched to high praise from reviewers. Nest will operate under the leadership of founder Tony Fadell and retain its unique brand identity. In a press release, Larry Page — the CEO of Google — said: Nest’s founders, Tony Fadell and Matt Rogers, have built a tremendous team that we are excited to welcome into the Google family. They’re already delivering amazing products you can buy right now–thermostats that save energy and smoke/CO alarms that can help keep your family safe. We are excited to bring great experiences to more homes in more countries and fulfill their dreams! . 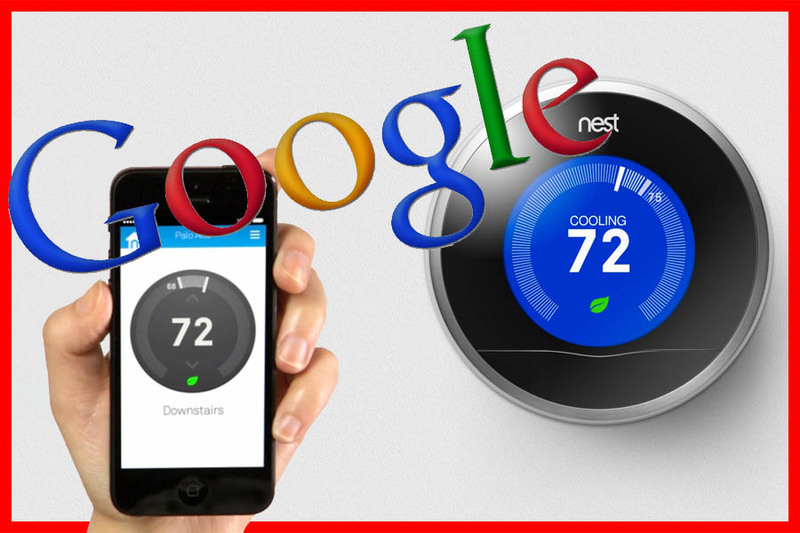 The CEO of Nest, Tony Fadell said: We’re thrilled to join Google. With their support, Nest will be even better placed to build simple, thoughtful devices that make life easier at home, and that have a positive impact on the world. Founders Tony Fadell and Matt Rogers will both previously with Apple and Fadell is known as the “father of the iPod” while Rogers was one of the first engineers on the team working on the iPhone. The founders explained in a blogpost on their website why Nest had chosen to join hands with Google. The statement said Google will help us fully realize our vision of the conscious home and allow us to change the world faster than we ever could if we continued to go it alone. We’ve had great momentum, but this is a rocket ship. Google has the business resources, global scale and platform reach to accelerate Nest growth across hardware, software and services for the home globally. And our company visions are well aligned – we both believe in letting technology do the hard work behind the scenes so people can get on with the things that matter in life. Google is committed to helping Nest make a difference and together, we can help save more energy and keep people safe in their homes. . The statement added that the decision was not made in a hurry and, at the TED conference in 2011, they had shown Google’s Brin an early prototype and a video even before Nest was formally launched. As a result, Google led the Series B financing round in 2011 and the Series C round in 2012. For months now, stories have been doing the rounds about multibillion-dollar acquisition negotiations for Nest and the Google move is no surprise. Google has been serious about the connected devices business but, so far, nothing concrete has really worked out. It was attracted to Nest because it is already producing high-quality home connected devices which can now be scaled up for the future. Peter Nieh, partner at Nest investor Lightspeed Venture Partners, spoke of his excitement when he first met the Nest founding duo. He now told TechCrunch that Nest is a very special company – it’s a combination of an incredible team led by Tony and Matt, world-changing vision, and world-class execution.The acquisition by Google is just a milestone along the way as they continue their quest to change the world, and added. I can’t wait to see how they will continue to bring magic to all those unloved things in our homes. .
Google was earlier rumored to be exploring options to ramp up its own efforts at developing its own smart thermostat but it is not likely that the project would be taken over by the team from Nest. It is also engaged in an interesting project which monitors power consumption over a period of time called PowerMeter which could have a role in the development of new connected device applications. The acquisition could also boost Google’s intellectual property portfolio because in December, Nest reported that it had been granted 100 patents with 200 more patents on file at the Patent Office and another 200 patent proposals ready to be filed. However, Nest has been targeted with patent suits and challenges from legacy manufacturers such as thermostat producer Honeywell and smoke detector manufacturer BRK. Google’s wide-ranging portfolio of patents over a number of technology areas may well offer protection. With all the hullabaloo surrounding Google and privacy issues, Nest issued a number of clarifications about this and other questions. It would continue to support Android, iOS as well as as other browsers so that you can control your home environment in any manner that you choose. Nest continues to sell through the same partners in North America and the UK and there would be no change to the warranties on the products. Finally, the company reiterated that privacy was a serious issue and policy restricts the use of customer information to improve its own products and services but only time will tell whether this is enough.